The days shopping tax-free with Amazon are coming to an end. On Saturday Amazon (AMZN, Tech30) will start collecting sales taxes on purchases in the last four states where it wasn’t doing so: Hawaii, Idaho, Maine and New Mexico. Four other states — Delaware, Montana, New Hampshire and Oregon — have no sales tax, while a fifth, Alaska, doesn’t have a statewide tax, but it does have municipal sales taxes. Typically, an online retailer only has to collect sales tax in states where they have a physical presence, such as a storefront or a distribution center. That loophole cost states $17.2 billion in lost sales taxes last year, according to the National Conference of State Legislatures. Embattled brick-and-mortar retailers have long complained about what they argue is the unfair advantage held by their online rivals. But various bills to require online retailers to collect all the different sales taxes have stalled in Congress, despite bipartisan support. 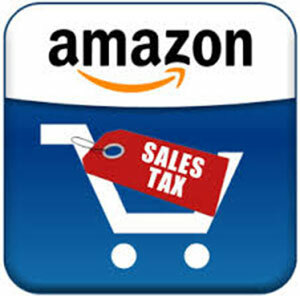 For years Amazon was one of the leaders in the fight to keep online purchases tax free. But as it has moved to offer faster and faster deliveries, it has expanded its network of distribution centers and started collecting sales taxes in more and more states. “Their business model has changed. To have same day or next day delivery, you need distribution centers nearby,” said Behlke. By the end of last year, Amazon was collecting sales taxes in 29 states and Washington D.C. Since that list included all of the largest states, that meant it was effectively collecting sales tax from 86% of the nation’s population. The site has been rapidly adding the remaining states to the list of places where it collects taxes this year, bringing the total to 41 states plus Washington. And as of April 1, it will collect from all 45 states that have a statewide sales tax. Amazon did not respond to a request for comment on the change in policy. And there is still one big sales-tax loophole left on Amazon: Shoppers don’t have to pay sales tax when they buy from one of the site’s many third-party vendors. Those vendors have huge sales in their own right. Amazon says it has more than 100,000 vendors who sell more than $100,000 each annually, which means total sales of more than $10 billion. Amazon says that nearly half the items it sells are from third-party vendors. “Whatever a state is getting in sales tax from Amazon, it should probably be getting about twice that much,” said Behlke. This entry was posted in Uncategorized on March 31, 2017 by ReedTMS. 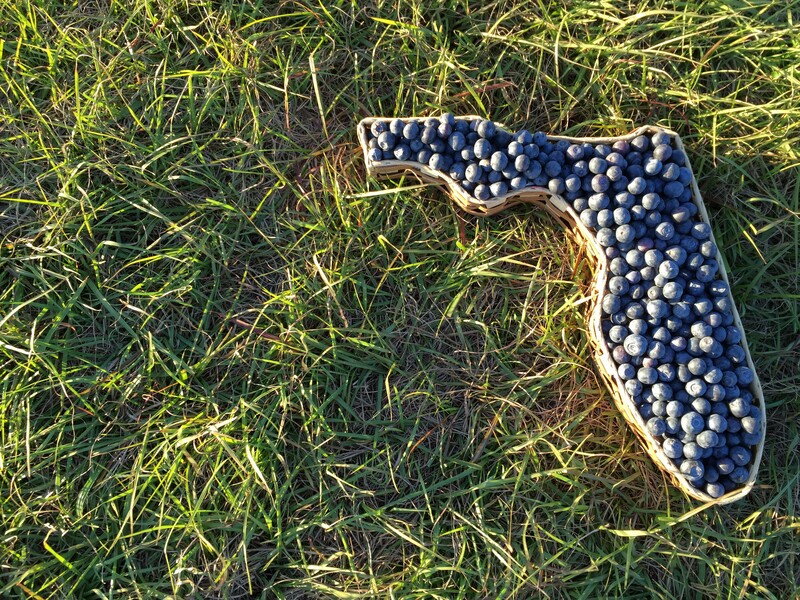 A freeze that swept through an estimated three-quarters of Georgia’s $400 million blueberry crop around St. Patrick’s Day could turn into an Easter boon for Florida growers. Florida skirted the most damaging parts of the cold wave that enveloped the Southeast and wrecked much of Georgia’s blueberry crop, with temperatures reported as low as the low 20s. “One grower here is in a fairly cold spot; he was definitely in the 26- to 27-degree range,” said Gary England, director of the University of Florida Institute of Food and Agricultural Sciences Extension Center in Hastings. Growers who did have to deal with cold had overhead irrigation to protect their vulnerable crops, England said, which holds fruit temperatures at 32 degrees. Florida growers, particularly in the freeze-vulnerable northern part of the state, typically have overhead protection, England said. A Wish Farms blueberry operation in Hawthorne, Fla., east of Gainesville, dealt with temperatures as cold as 28, but it emerged relatively unscathed, Koukoulis said. “If they had 5%, that would be a lot of damage,” he said. Koukoulis, who surveyed fields in Florida and Georgia after the cold wave, said Georgia’s rabbiteye crop, which is supposed to be harvested in May and June, sustained “some really serious” freeze damage. “Depending on who you talk to, they lost 80% to 100% because they didn’t have any overhead protection,” Koukoulis said. For Southern highbush varieties, the damage likely was less, Koukoulis said. Florida grower-shippers will do what they can to compensate for any dip in Georgia’s volume, England said. The USDA cited reports indicating the freeze event may have damaged 80% of the blueberry crop in Southern Georgia and 85-90% of early and mid-season peach varieties in both states. Crops that advanced early, due to an unusually warm January and February, were damaged by the March freeze, according to the USDA. This entry was posted in Produce News, Uncategorized on March 30, 2017 by ReedTMS. The gains in trucking offset a rare slip in employment in warehouse and storage companies, which cut payrolls by 1,500 jobs from January to February. Jobs in that sector, which has expanded as more consumers shop online, are still up more than 6% compared with the same month last year. The transportation and logistics sector overall added 8,800 jobs in February. Across the country, the U.S. economy added 235,000 jobs in February while the unemployment rate ticked down to 4.7%, suggesting a tight market for labor. Swift Transportation Co., the largest North American truckload carrier, this week cited driver-recruitment as a problem as well as “intensely competitive pricing” as it reported that it expected at best to hit the lower end of its guidance range for earnings this quarter. “We, like many others, expect industry dynamics to remain challenging in the first half of 2017 and then improve as we move into the latter half of the year,” said Richard Stocking, the company’s chief executive, in a mid-quarter update. This entry was posted in Trucking News on March 29, 2017 by ReedTMS. Texas lawmakers have proposed a new bill that will require truck drivers to learn the signs of human trafficking. Politicians and anti-trafficking organizations believe that truckers are in an excellent position to observe and report human trafficking. 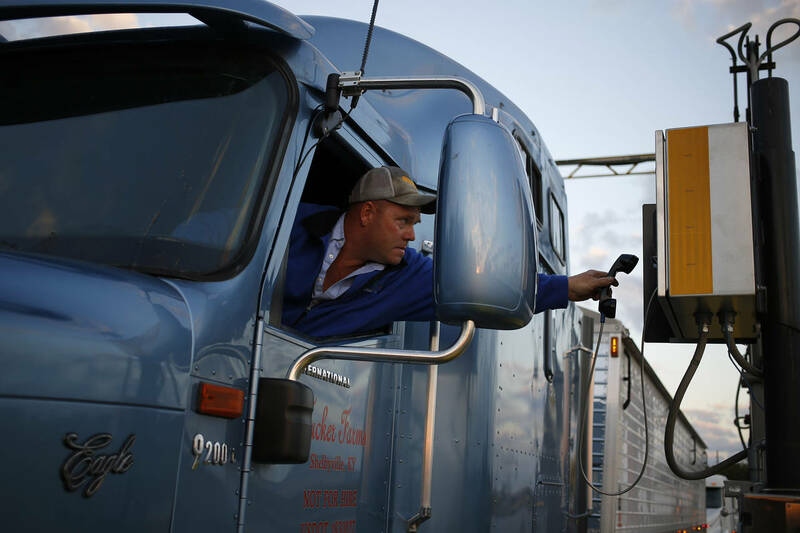 The organization Truckers Against Trafficking says since they started training professional drivers on the signs of trafficking, truckers have made over 1500 calls to the National Human Trafficking Hotline, which has led to more than 1,000 rescues. Because of the results of Truckers Against Trafficking’s program and other similar organizations, lawmakers in Texas have proposed Senate Bill 128, which will require all drivers applying for a commercial drivers license to take a course on human trafficking. This entry was posted in Trucking News on March 28, 2017 by ReedTMS. The Packer announced plans for the world’s premier organic produce event. The Packer’s Global Organic Produce Expo is scheduled for The Diplomat Beach Resort in Hollywood, Fla., Jan. 25-27, 2018. The debut of the Global Organic Produce Exposition & Conference is scheduled for Hollywood, Fla., Jan. 25-27, 2018, providing a forum for the rapidly increasing needs of those who grow, distribute, package and market organic produce. “The Packer is the go-to thought-leader in the produce industry,” said Jeff Pence, Farm Journal Media division president. The 2018 Global Organic Produce Expo will be at The Diplomat Beach Resort. The Miami area was selected for its natural position as the international gateway connecting North and South America. As a full-scale international trade show, the event also will provide a range of valuable networking opportunities; the most up-to-date category research, such as Fresh Trends; business and marketing education; and an exhibit floor with scalable opportunities to exhibit to the organic segment. “There’s an insatiable appetite for timely high-quality research, content and data in this still emerging organic category,” said Shannon Shuman, The Packer’s publisher and Farm Journal Media vice president of produce. This entry was posted in Produce News on March 27, 2017 by ReedTMS. A number of businesses have been around since before our nation was even established. In fact, some of the oldest businesses in the U.S. date back to the early 1600s. These companies have consistently offered their products and services for centuries. In some cases, they’ve become the backbone of their communities. They also serve as inspiration to their fellow local businesses. From town pubs to newspapers to law firms, many of the oldest businesses are small businesses. One can’t help but wonder what’s kept these companies afloat for hundreds of years. Most have had to adapt and find their niche. In California, the longest surviving business is aluminum manufacturing company Ducommun, which started as a hardware store during the Gold Rush in 1849. Today, it supplies aluminum to the aerospace industry. For others, it’s their reputation that sustains them. C.D. Peacock Jewelry in Chicago, which opened in 1837 — the same year Chicago officially became a city — is Illinois’s oldest existing business and has a history of selling to the rich and famous. From local restaurants to statewide manufacturing businesses, these long-standing companies vary by size and industry. To find out the oldest business in your state, check out Busy Beaver’s infographic below. This entry was posted in Uncategorized on March 23, 2017 by ReedTMS.